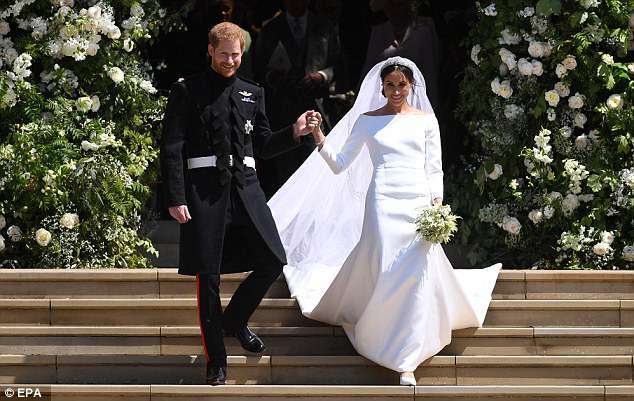 Meghan Markle opted for classic elegance when she chose her £200,000 Givenchy gown that's been likened to Audrey Hepburn's classic chic. 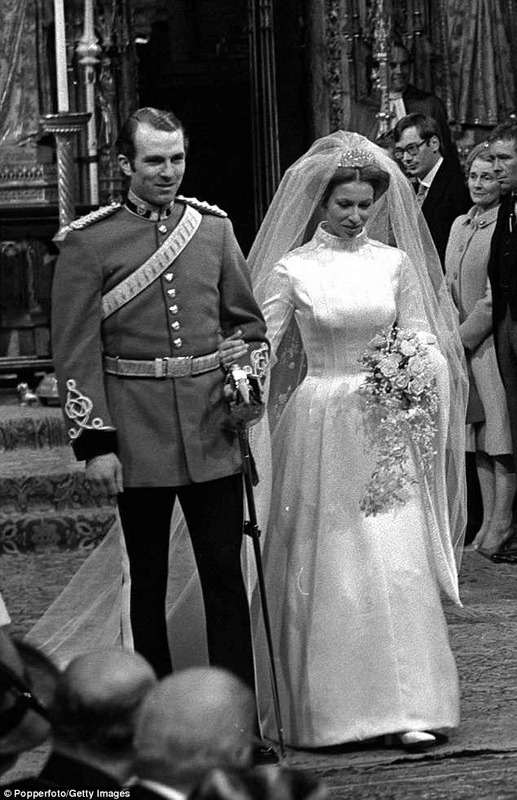 But it seems that the new Duchess of Sussex may have looked no further than her fellow European royals for inspiration for her wedding gown, wearing a style very similar to numerous regal brides including Princess Charlene of Monaco. 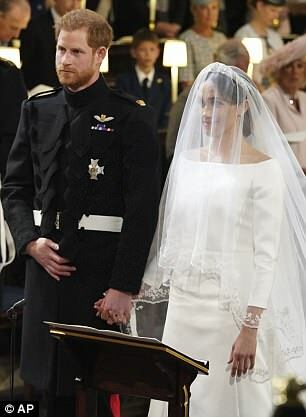 Her look even echoed the dress Princess Anne wore to marry her first husband Captain Mark Phillips in 1973 designed by Maureen Baker, which was the same pure white shade. 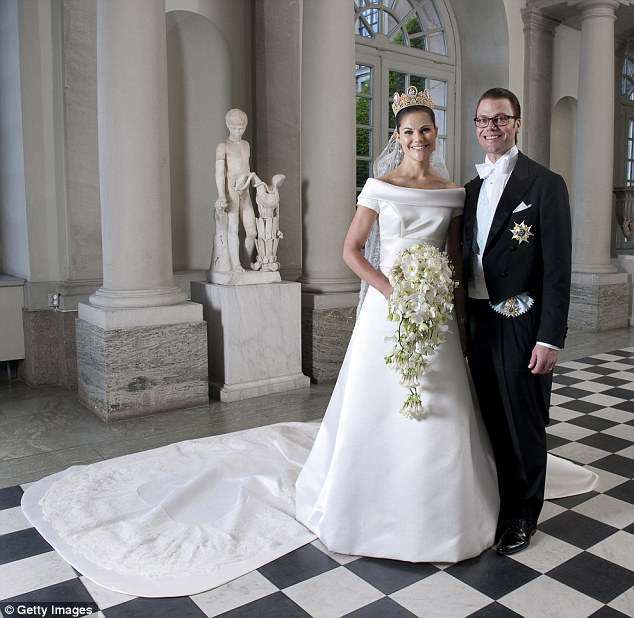 The boat neck on the former actress' dress was reminiscent of the gown Crown Princess Victoria of Sweden wore to marry Daniel Westerling in 2010, with a 16ft train to rival Meghan's 15ft embroidered veil. 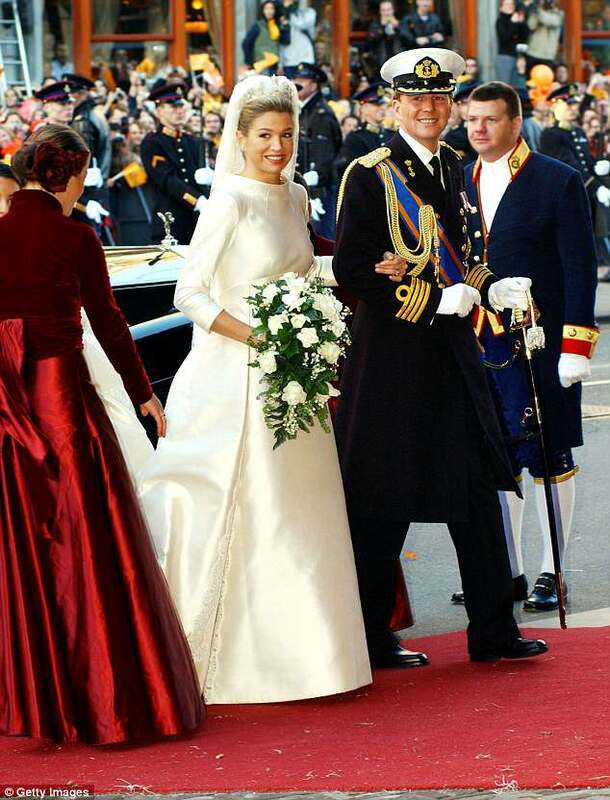 Although she opted for a higher neckline, Queen Maxima of The Netherlands also chose a classic look like Meghan's by Valentino couture for her marriage to King Willem Alexander. 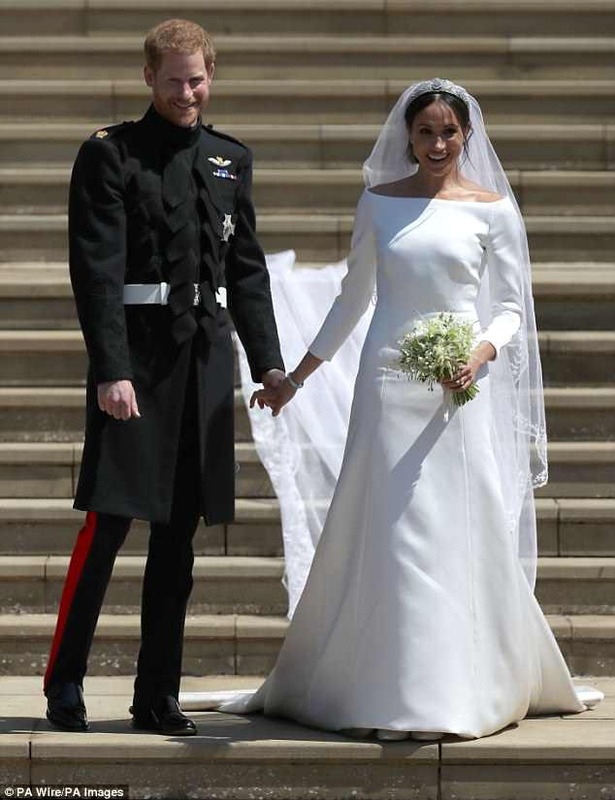 Her long-sleeved haute couture gown with a sweeping train was definitely a forerunner for Meghan's bridal look. Princess Charlene of Monaco also went down the couture route like Meghan, enlisting Armani to design the gown she wore for her religious ceremony with Prince Albert in 2011. 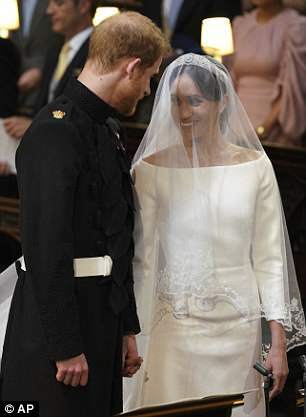 While her off white silk duchess featured more embellishment than Meghan's the neckline and embroidered silk tulle veil were certainly a close match. 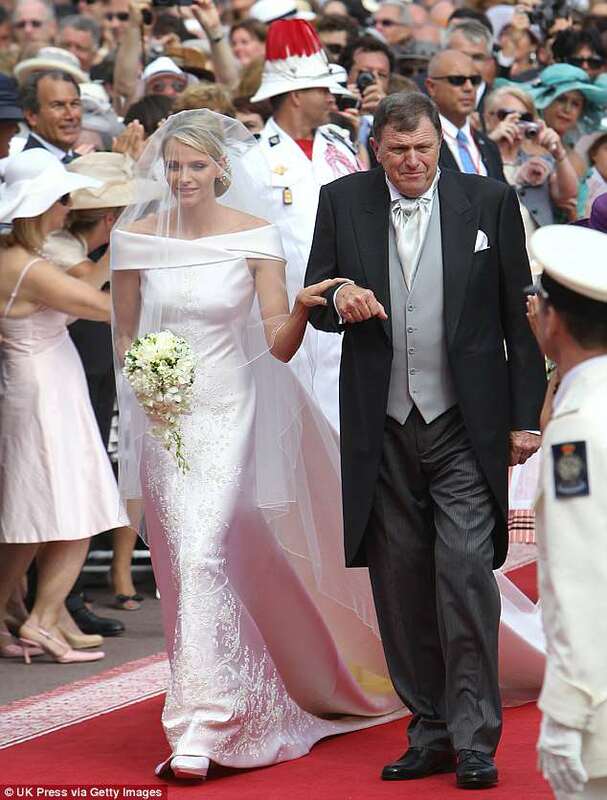 Even minor royalty can provide inspiration, as Princess Alexia of Greece opted for a similar silhouette when she married in a heavy white satin dress by Austrian designer Inge Sprawson in London in 1999. Meghan's bespoke creation is estimated to have cost £200,000, including £78,000 for custom-made fabric and £4,000 for fittings. 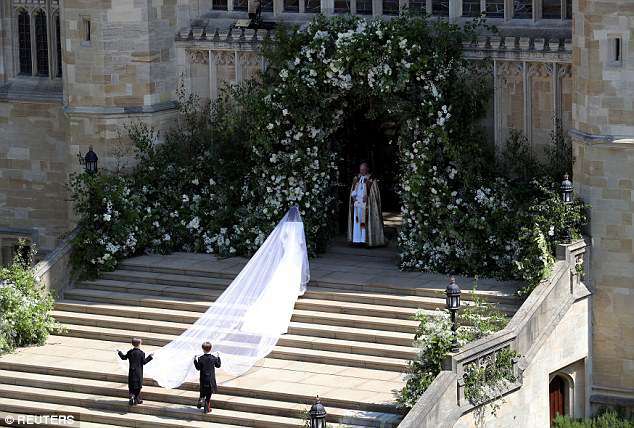 The pair worked closely together on the design, with Ms. Waight Keller carrying out extensive research at fabric mills throughout Europe, to develop an exclusive double bonded silk cady especially for Meghan. Together, the pair decided this was perfect for the round sculptural look required while the soft matt lustre, bonding process and pure white colour bring a fresh modernity to the dress. 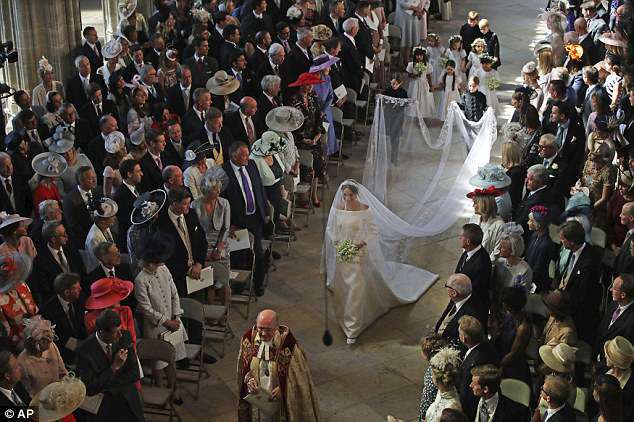 Meghan was eager to incorporate a nod to all 53 countries of the Commonwealth into her special day, and asked for a veil embellished with the distinctive flora of each Commonwealth country united in a single spectacular floral composition. Each flower was worked flat, in three dimensions to create a unique and delicate design. Workers spent hundreds of hours meticulously sewing and washing their hands every thirty minutes to keep the tulle and threads pristine.